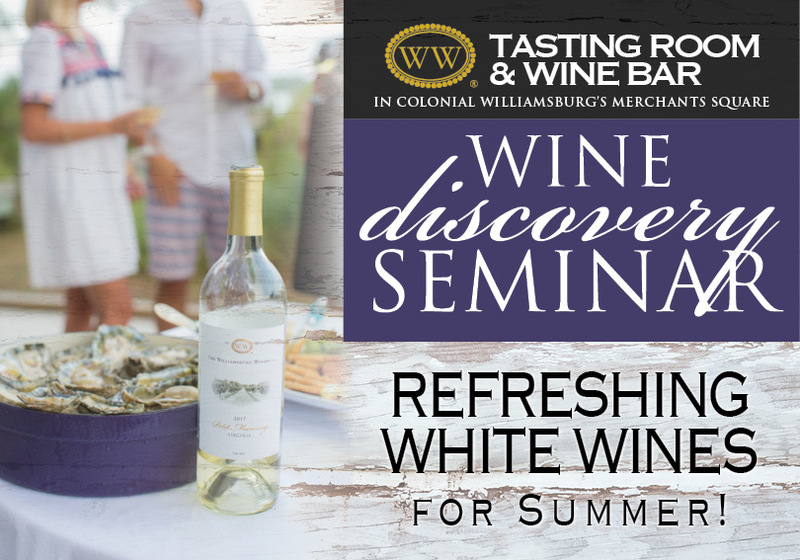 Join us on Wednesday, May 8th at 6 PM at the Williamsburg Winery Tasting Room and Wine Bar in Merchant's Square for an evening of wine education and exploration. This month's seminar will feature cool, crisp white wines as we head into hotter weather. Several small bites will accompany this tasting.